I wrote the following a few hours after Rabbi Groner passed away. I feel that it should be recorded on my blog, rather than occupy a few kilobytes in the cloud. As this serves as a historical record of what I wrote, I’m not taking comments. We were all terrified of him. He was a huge man with a powerful and melodious voice. Coupled with that steely determined look in his eyes, students literally melted in his presence. On one occasion when sent to his office because of a classroom misdemeanour, I waited in the hallway, my knees quivering with fear. I was fortunate to be spared. Rabbi Groner z”l was much more than the Principal and Director of the Yeshiva. Waiting for my moment of judgement, it seemed like the entire Melbourne Jewish community were ringing or shuffling in and out of his office. Rabbi Groner was in a state of tireless perpetual motion, directing with certitude and conviction. I felt that he had a soft spot for me. Rabbi Groner loved Chazonus and personally ensured that Yeshiva had a “professional choir” to perform at the Yeshivah dinner and other events. I was the soloist assigned to sing the famous and haunting “Ovinu Malkeinu” of the Alter Rebbe, the first Rebbe of Chabad. This Chassidic Niggun was a personal favourite of Rabbi Groner, and nobody sang it with the soulful enveloping power of Rabbi Groner. Our choir sang in the lunchroom adjoining his office, and each week when I sang that uplifting Niggun, Rabbi Groner would rush out of his office and nod approvingly. He was quick to also warn me that my voice would break after my Bar Mitzvah and that I needed Hashem’s blessing to ensure that my ascent into manhood would preserve the gift that had been bestowed. Rabbi Groner seemed to maintain a keen interest in everybody’s pursuits and this continued even when he was infirm and he always asked whether my cantorial duties at Elwood Shule on Rosh Hashono and Yom Kippur had been successful, and what Rabbi Chaim Gutnick z”l had said in his drosha. He couldn’t have been more correct, but I was far too immature to appreciate his message or subtle approach. “Rav Perlov is the Posek, don’t ask me Shailos, ask Rav Perlov”. His sense of Kovod HaTorah and modesty was also exemplified by the fact that he sat in an ordinary seat, three rows down from where our family continues to sit. He seemed to remember everybody and anything, drawing on an incredible knowledge of Chassidic Dynasties, no doubt also gleaned from his days in the“Rayim Aheevim” Shule that he frequented in his youth in Brownsville. When I brought our elder son, Tzvi Yehuda for a Brocho before his Bar Mitzvah, I mentioned our connection with Amshinov, and as if in auto-pilot, he regaled us with stories and impressions that only he could bring to life in the modest office of his home. One year, after I had returned from learning in Yeshivat Kerem B’Yavneh, a group of us decided to gate-crash Chabad’s Simchas Torah revelry and augment the usual repertoire with our own “tunes”. We had seemingly “conquered” and taken over the dancing when all of a sudden I felt this big hand on my shoulder. Hovering behind me was the towering figure of Rabbi Groner, who quickly “advised” me that this was his Shule, and he was “calling the shots”, and if we didn’t like it, we could always “decide” to leave. Suffice it to say that the ambience efficiently reverted to more traditional Chassidic overtones. You always knew exactly where you stood with Rabbi Groner. He was both vigorous and forthright, and yet displayed special attributes of tenderness and compassion. I vividly recall the manner in which he conducted and directed the funeral of my Booba Toba in Carlton before he escorted her body to Essendon Airport, ironically on her own final journey to Yerusholayim. I was only a little boy, and the trauma of Booba’s sudden death etched indelibly in my memory together with the countermanding vision of Rabbi Groner’s strength, compassion and forbearance. Rabbi Groner always remembered the date of her passing. He seemed to remember everyone’s special events and somehow managed to ubiquitously support people during the height of their Simcha, or sadly at the depths of their despair. I used to tell my children that Rabbi Groner exemplified possibly the most important educational lesson that cannot be adequately transmitted in a classroom or drosha setting. Rabbi Groner was a living paragon of unwavering commitment (otherwise known as Mesirus Nefesh). Fringe dwellers such as myself could only observe and aspire to such lofty levels of achievement from afar. Rabbi Groner’s axiological belief system and weltanshauung was never compromised. He and his Rebbetzin (may she be spared many years of health and nachas) personified utter selflessness and devotion. Rabbi Groner and his Rebbetzin stood like proverbial soldiers ready to perform the will of the Almighty through the prism of Chabad, as directed by its mentor, the Lubavitcher Rebbe. As I write this, a few short hours after his passing, I reflect on the muted tone of our elder son who informed me of Rabbi Groner’s passing. I hear the tearful sobs of our youngest daughter who felt the need to ring me from Camp, overcome with sorrow. I feel the vacant and stunned silence from my wife, and the sighs of pain and tears of my parents. I reflect on all this and recall my last moments with Rabbi Groner on a Monday afternoon, shortly before his penultimate journey. My cousin Ya’akov, a long-time student of Rabbi Groner was visiting from Israel to participate in the Bar Mitzvah of our younger son, Yossi. We are a family of Cohanim and Rabbi Groner took our blessings most seriously, always asking to remember “Yitzchok Dovid ben Menucha Rochel” while we Duchened. The combination of these three factors allowed us the privilege to spend a few short moments with him in the Hospital. Barely able to speak, Rabbi Groner’s eyes lit up when he saw my cousin. After asking about our Yossi, my father, cousin and I recited the priestly blessings. Ya’akov then asked Rabbi Groner a difficult halachic question. Even though Yaakov had been living in Israel for over 30 years, he still considered Rabbi Groner his Posek. Rabbi Groner slowly looked up, and with a motion of his hand, said in Yiddish, “That is a very difficult question, I will need to look into that.” I wished Rabbi Groner a speedy recovery and suggested that when he comes out of hospital, he would answer the question. He looked up at us and exclaimed a single word “Moshiach!”. “things that are known and famous do not require any proof or support”. 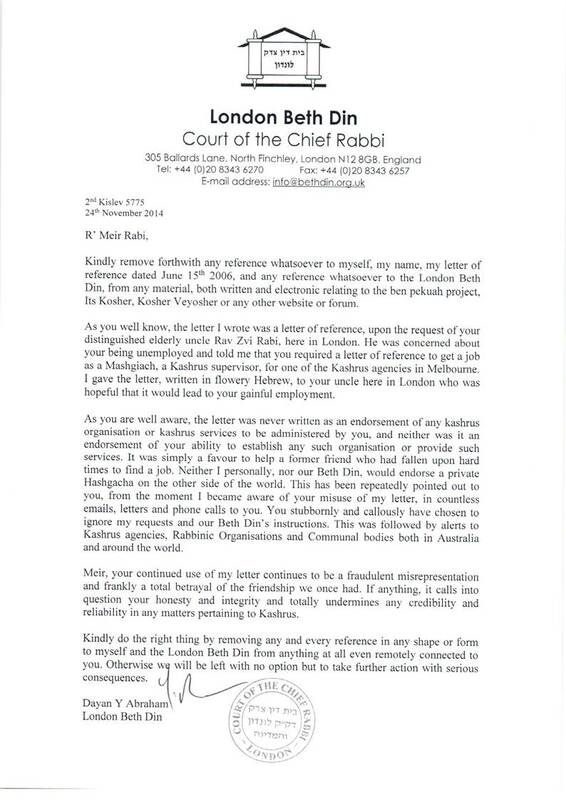 I feel sure that Rabbi Groner has ascended to a special Gan Eden reserved for only the best of us. May his memory be a blessing to all of us, and may all the mourners receive comfort from the mourners of Zion and Jerusalem. A really beautiful and touching piece. This has stood the test of time so well. Next Next post: Do you understand Achinoam Nini?